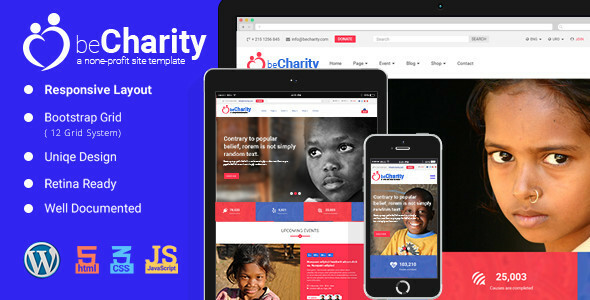 beCharity is a fully responsive retina ready WordPress charity theme. It is based on bootstrap 3.3.5. It comes with 13 different block of King Composer including Contact, Shop, Donation, cause, event pages. Its a perfect theme for charity websites.